The Air Force’s top intelligence official has been nominated to lead a newly reconfigured intelligence shop that now encompasses cyber efforts. In a Feb. 8 announcement, Acting Secretary of Defense Patrick Shanahan said he nominated Lt. Gen. VeraLinn “Dash” Jamieson to serve as Air Force’s deputy chief of staff for intelligence, surveillance, reconnaissance and cyber effects operations. 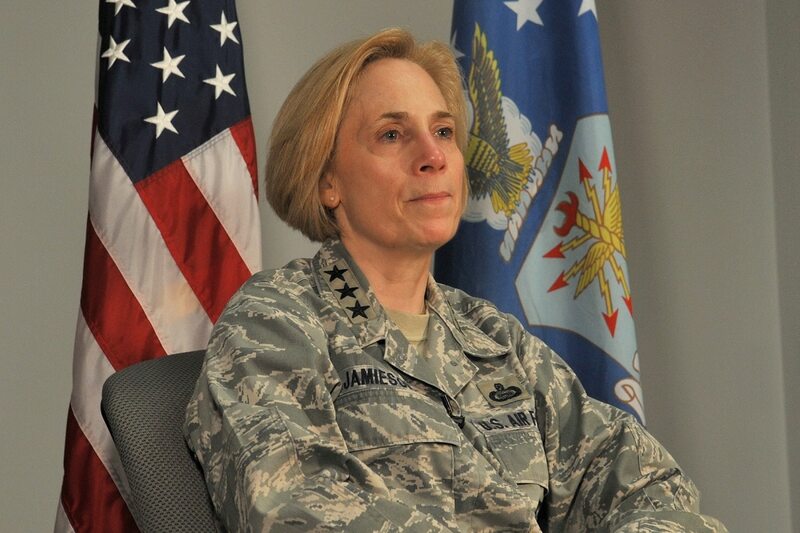 In recent months Air Force leaders decided to reorganize the service’s intelligence and IT shops, shifting cyber effects responsibilities to Jameison’s current role of deputy chief of staff for ISR and moving them out from the purview of the service’s chief information officer. In addition to ISR, Jameison will also be responsible for overseeing offensive cyber, defensive cyber and tactical communications, officials have said. They argue this reorganization will help lead to increased warfighting capabilities by leveraging the intersection of ISR, cyber and the electromagnetic spectrum creating a competitive advantage. The Air Force has typically taken a combined intelligence/cyber approach best exemplified by the re-designation of 24th Air Force/Air Forces Cyber from Air Force Space Command to Air Combat Command, which oversees global intelligence, surveillance and reconnaissance.